Mayans M.C. wrapped up its first season on Tuesday, leaving fans with many questions to wonder about until its return in 2019. 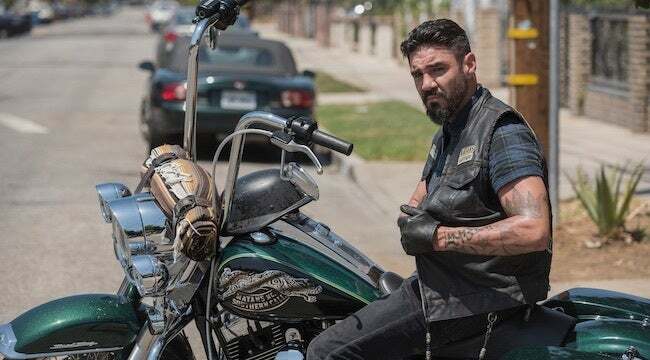 The Sons of Anarchy spinoff series spent much of its first chapter introducing the world of the Santo Padre charter of the Mayans, as well as the life and struggles of its prospect EZ Reyes (JD Pardo). The first season reached its climax with a shocking revelation that will surely make for a shocking second season. Until then, join us as we look back on the biggest moments of season one. 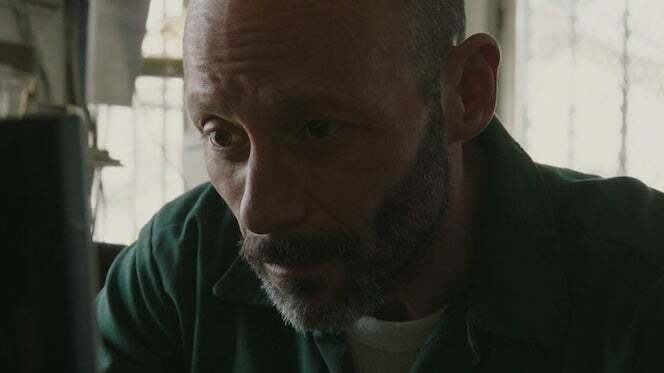 The season premiere introduced viewers to EZ, a Mayans prospect who had just been released from prison to find his ex-girlfriend married to the leader of the Galindo cartel and trying to make his name known within the club. The sucker punch twist of the episode comes from the reveal that the only reason EZ was released from prison — after killing a cop — by agreeing to become an informant to the DEA, infiltrating the Mayans so he could get information on the Galindo cartel. The season premiere also offered the spinoff series' first major Sons of Anarchy cameo in a flashback to EZ's time in prison. After Emily (Sarah Bolger) tells EZ that she's pregnant, right after he breaks up with her so she doesn't just wait for him while he's in prison. He tries to rush toward her as she walks away when the guards tackle and shove him to the ground. At that moment, the camera pans to another table in the prison visitor area and Gemma Teller-Morrow (Katey Sagal), she sees what is happening and utters just one word: "a—holes." 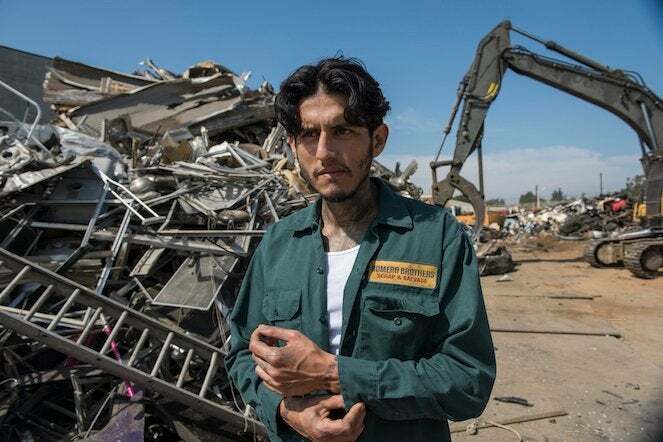 The Sons of Anarchy connections continued in Episode 2, when the Mayans scrap yard business was introduced featuring one familiar face. Aside from the Mayans members, the only other employee for the business was none other than Chucky (Michael Ornstein), who was later in the season revealed to have been won by the Mayans in a card game against the Sons. 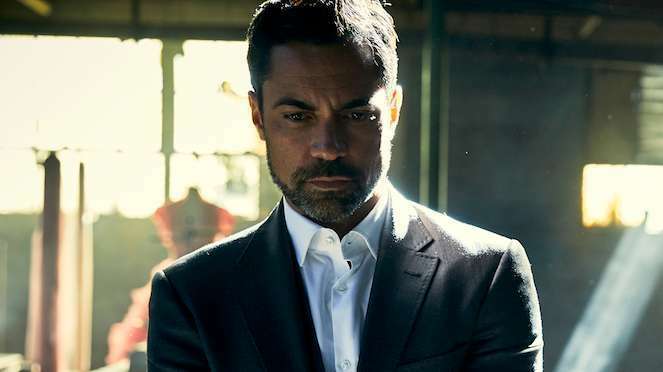 The war between the Galindo cartel and the rebel group known as Los Olvidados reached a dangerous turn after Adelita's (Carla Baratta) group kidnapped Emily and Miguel Galindo's (Danny Pino) son. The twist, which a few members of the Mayans including EZ and Angel (Clayton Cardenas) knew all about, led to many deaths and tragedy on both sides of the conflict for the first half of the season. One bomb that was introduced this season that has yet to drop is that of Felipe Reyes' (Edward James Olmos) past. As Kevin (Maurice Compte) worked to attempt EZ's father to convince him to turn on Emily and the Mayans, he found out that Felipe had changed his identity and his real name was Ignacio Cortina, a government worker who found himself in danger with the wrong people back in the 1980s. The reveal led to a serious interaction with Adelita later in the season, though, at least for now, EZ and Angel did not find out their father's secret. 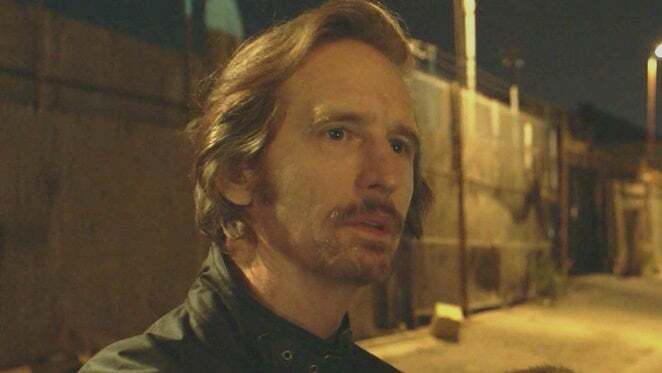 The final moments of episode 6 marked the iconic return of one of Sons of Anarchy's most compelling villains, Lincoln Potter (Ray McKinnon). His return came with a promise from Potter that he would be tearing down the walls the Mayans had built to protect their secrets, and at least where EZ and Angel are concerned, he stayed true to that promise. Coco (Richard Cabral) had quite a season, with revealing to his younger sister that he is actually her father so she would stop going down the path of prostitution that his mother was taking her on. His new relationship with the girl would not be great for the whole family, however, as in a moment of rage, his daughter lies and accuses his mother of hurting her. Coco loses his mind at his mother's supposed behavior and decides to end it all, killing her in a gruesome scene. After agreeing to help Coco dispose of his mother's body, Angel and EZ fall into bad luck when they are stopped by the cops and arrested for having the body in the trunk of the car they are driving. At the prison, the brothers find themselves at the mercy of Lincoln Potter, who spills the beans on EZ's deal with the DEA. The reveal tears the brothers' relationship apart, though they are still forced to work together under Potter's influence. For season 2, however, Angel and EZ's newfound animosity will play a big role in the series. Episode 9 shocked viewers with the announcement that rather than teaming up with the feds to squash Los Olvidados, Miguel chose to ally with Adelita and the rebel group to create an even more powerful criminal enterprise. 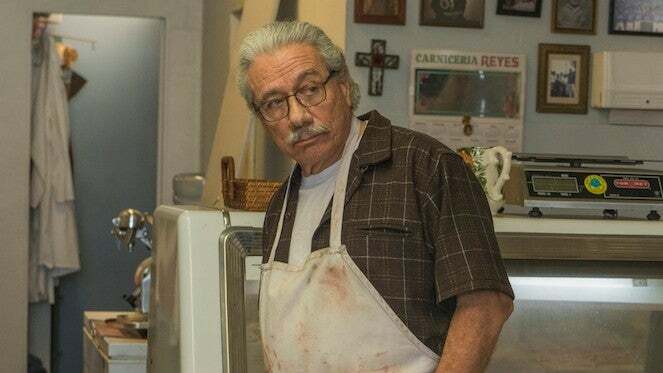 The moment makes the Mayans an even more influential group, and led iconic character Marcus Alvarez (Emilio Rivera) to walk away from the club to serve as a new adviser for the cartel. 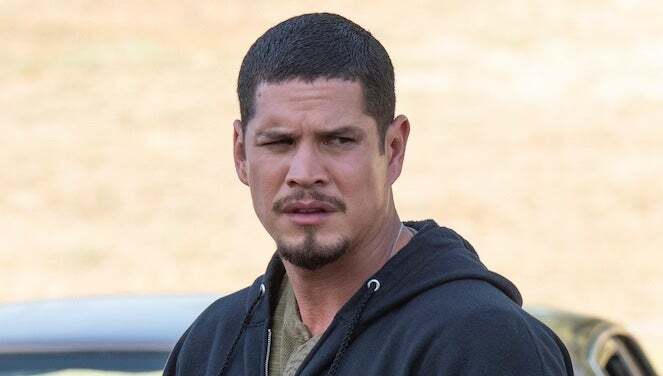 The season finale offered many jaw-dropping moments, but none of them compared to the last-minute reveal that Sons of Anarchy character Happy Lowman (Daniel Labrava) was the person responsible for EZ's mother's murder. In a flashback scene, EZ was seen chasing his mother's killer down and accidentally shooting a police officer to death — which would lead to his arrest — after that, the show went back to the present with EZ seeing Happy for the first time in as many years at the Mayans party, before the episode faded to black. Mayans M.C. will return for its second season in 2019 on FX.